The yogurt brand has also brought on its first director of sustainability. NORWICH, NY: Chobani has expanded the role of its comms head Michael Gonda to include public affairs, effective this week. Gonda reports to Peter McGuinness, Chobani’s chief marketing and brand officer. He has been Chobani’s VP of corporate comms since he joined the company in September 2014. Gonda has seven direct reports. Gonda’s areas of responsibility now include internal and external corporate comms, PR, issues and crisis management, public and government affairs, oversight of the consumer loyalty team, sustainability, the Chobani Foundation, community engagement and relations, and executive comms and visibility. The public affairs and foundation duties are newly created responsibilities for Chobani. "Some of the larger roles I will be taking on pertain to developing our sustainability strategy and also oversight of the Chobani Foundation, as well as increased work with our public officials at the local, state, and federal levels," Gonda told PRWeek. 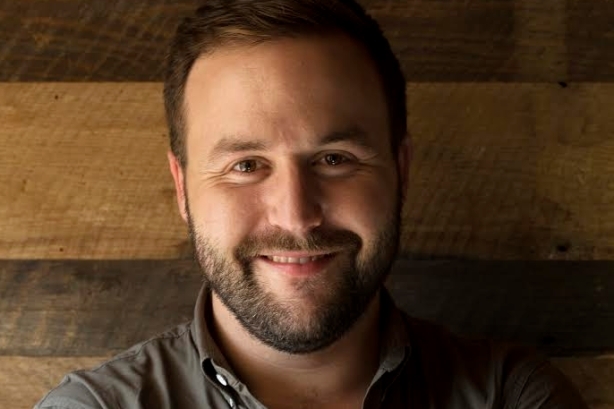 Chobani has also hired its first director of sustainability and public affairs, Nathan Streed, who joins from Kroger where he is sustainability manager, corporate brands and manufacturing. Streed starts at Chobani in mid-September. McGuinness told PRWeek via email that through "thoughtful, transparent, strategic communications" Chobani drives its point of view forward, raises awareness for the brand and its founding values, and develops real relationships with everyone from local officials in Chobani’s communities to its consumers and media—and everyone in between. "[Gonda’s] been leading that for us with a very lean, focused team and picking up responsibilities since he joined, including overseeing and evolving our consumer loyalty and community engagement teams, both of which are special and important parts of our company," McGuinness said. "At a time of strength, it’s the right time to expand the scope of the team under his leadership and raise the bar in other areas that are important to our business and our reputation." Before joining Chobani, Gonda was VP and director of corporate communications and corporate issues at Weber Shandwick, Chobani’s AOR since September 2013. From 2012 to 2013, Gonda worked in the corporate communications practice in Weber’s Beijing office. He started at the Interpublic Group firm in 2010 as an account executive in New York. Before Weber, Gonda worked as a freelance journalist, according to his LinkedIn account. Gonda was named one of PRWeek’s 40 Under 40 last year. Chobani has had a string of hires and promotions over the past year. Jason Rahlan, director of executive and philanthropic communications, joined Chobani from the Human Rights Campaign earlier this year, where he was comms director. Additionally, last year, Blair Aires, senior manager, corporate comms, joined Chobani from Edelman; Jeff Genung was promoted to senior manager, leading community engagement and internal communications in upstate New York; and Alyson Outen was hired to lead community engagement and internal comms in Twin Falls, Idaho. Earlier this month, McGuinness outlined to PRWeek Chobani's plan to get Americans to eat as much yogurt as Europeans do.